Salem, OR—Today, Secretary of State Dennis Richardson announced the Oregon Audits Division has won its fourth consecutive impact award from the National Legislative Program Evaluation Society (NLPES). •	The agency that was created to be the state leader on housing, Oregon Housing and Community Services, had fallen short on its efforts to preserve affordable housing. •	The agency needed to improve strategic planning and data management. •	The agency also needed to address cultural and organizational challenges, such as poor communication, inconsistent staffing, and inadequate policies and procedures. •	On the day the audit was released, a new director started at the agency, who used the audit recommendations as a blueprint to effect substantial, positive change. 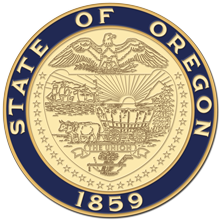 •	Audit findings and recommendations helped propel important legislation to preserve affordable housing in the state, including three significant bills that were passed in the 2017 legislative session: HB 2002, which expanded laws regarding preservation of affordable housing; HB 2852, that directly addressed the audit recommendation to expand the Oregon Affordable Housing Tax Credit Program by extending the sunset and increasing the credit by $8 million; and HB 5530, which increased funding for housing preservation efforts by $25 million in lottery bonds. •	The agency also received additional staff, which the director attributed directly to the impact of the audit.